As WE took our daily stroll around our yard the other day, I was amazed at how things are starting to bud. 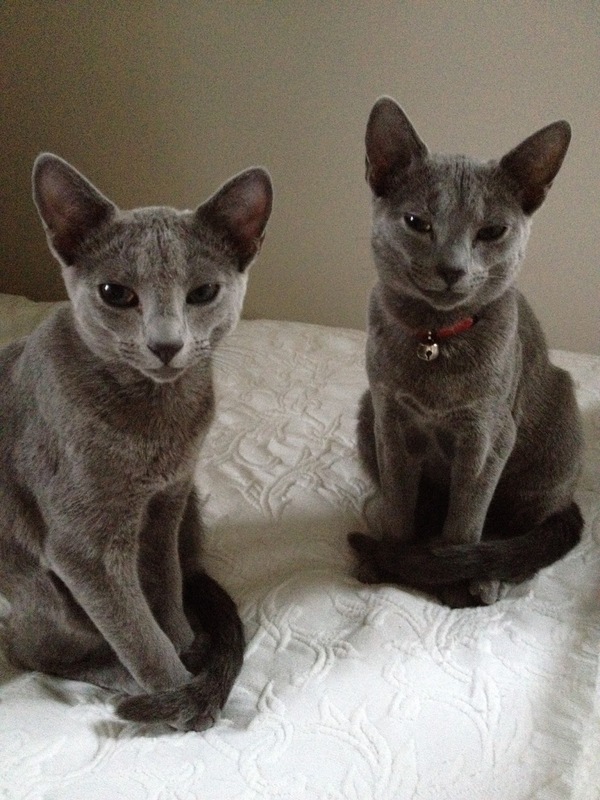 More importantly, the WE I am speaking of is our 2 Russian Blue cats, Cody and Griffin. They are litter brothers and the most loving, spoiled, intelligent lap cats around. "Who wants to go outside?" 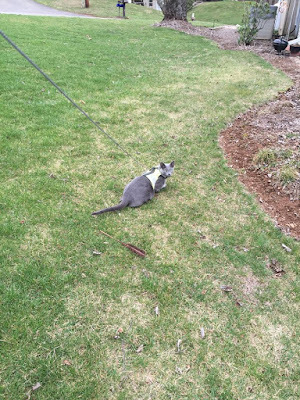 We were forewarned by the breeder, that once they get a taste of outdoors, they will always want it, We purchased two harnesses that came highly recommended. After the Houdini escape attempts by both....they would stop walking forward, took a few steps backwards and did a backward somersault, they were free of their harness......we decided we needed something more secure. Introducing the Kitty Holster :) Mind you, I am not being paid by the manufacturer, but these are amazing. I feel secure in knowing they can NOT escape from these. Infact, once we put them on our boys, they begin to strut around inside the house with their tails up and they actually wiggle their hineys. We laugh every time how their attitude changes once their vests are on. Here is a picture of Cody taken wearing his safety green vest. It even has a reflective stripe around it. If your cat loves to be outdoors, please check into this vest for him/her. They are well worth their price. 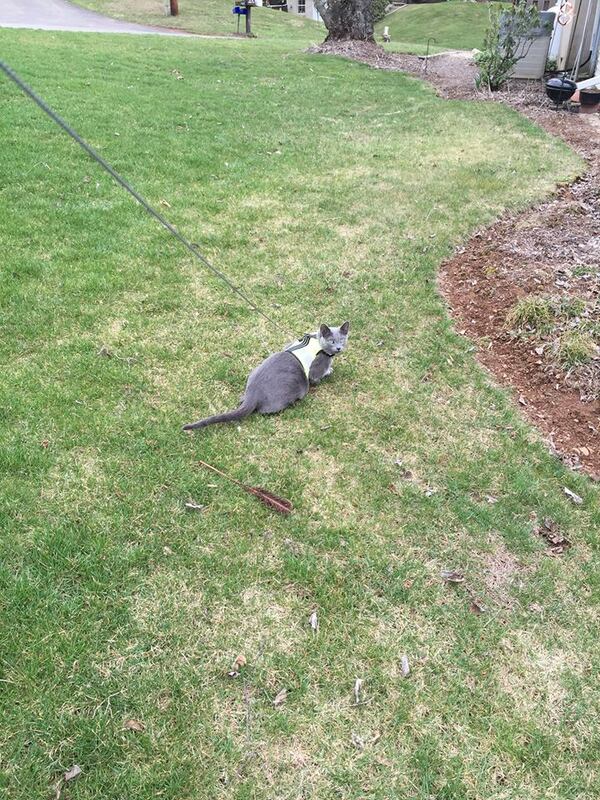 Your cats are beauties and they sure enjoy their vests and being outside. Thank you , Terra :) I agree, they are beauties and so spoiled! Beautiful cats! I love that they are spoiled. ;) Thanks for the link! We will be needing to get harnesses for our two cats when we move. I'm worried the usual pet store options will not work well, plus our cats have HATED them in the past.